Craig Chaquico Electric Acoustic Guitar download free. This is a monumental video by one of today’s most beloved guitarists. Craig Chaquico (ex-Jefferson Starship guitarist) takes this opportunity to share the secrets of his sublime acoustic guitar technique. 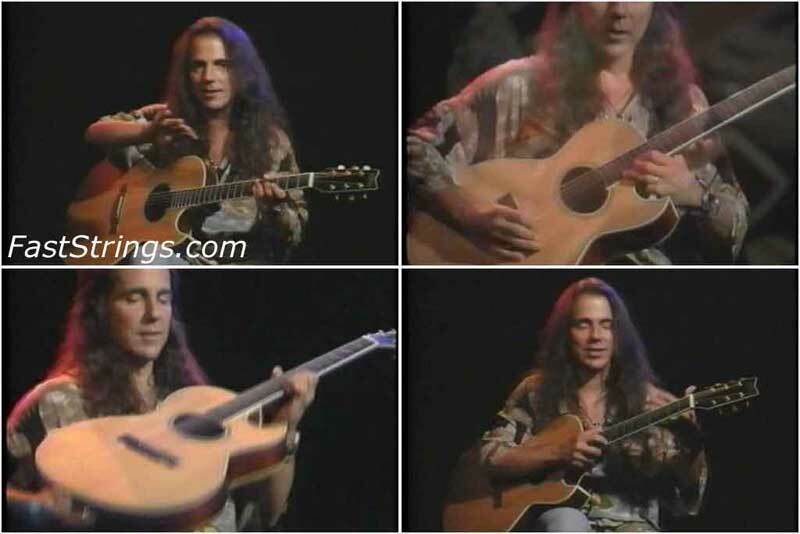 In this 92-minute video, Craig covers electric guitar styles on acoustic, such as hammer-ons, pull-offs and right-hand tapping as well as pentatonic ‘box’ patterns, bending, extracting melodies from chords, three-note chord patterns, thumb-style ‘slapping’, sympathetic string vibrations, using octaves and doubles stops and playing whole tunes on a single string.This video is for the intermediate player who is determined to develop great technique and real emotion in their playing, and who wants to stand out from the pack. Thanks for Craig Chaquico Electric Acoustic Guitar! This dude plays some really beautiful stuff. Amazing how he transfers electric guitar techniques to acoustic guitar. Thanks for sharing ,Admin..you guys are the greatest.